With great interest for sailing, boatbuilding and vikings the project to build and sail the greatest viking ship of modern times started. The curator of the project, Sigurd Aase, wanted this extraordinary ship to follow in the wake of one of the most challenging viking explorations – the Viking discovery of the New World. 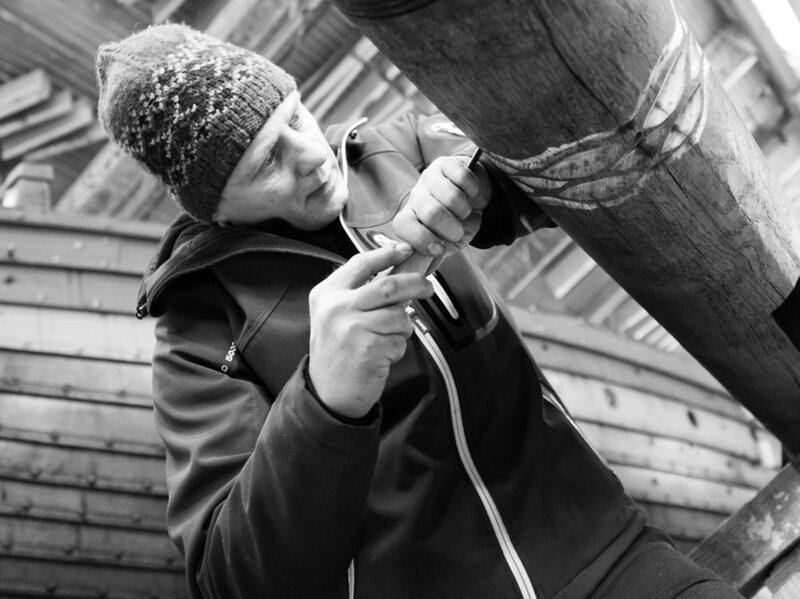 Fine craftsmanship built Draken Harald Hårfagre – with materials used throughout history. Oak, tar, hemp, iron and silk. In March of 2010, construction began on what would be the largest Viking ship ever built in modern times. Named after Harald Hårfagre, the king who unified Norway into one kingdom, the great dragon ship came together in the town of Haugesund in Western Norway. The Vikings left almost no record of how they built their ships, or how they sailed them. Draken Harald Hårfagre is a recreation of what the Vikings would call a “Great Ship”, built with archaeological knowledge of found ships, using old boatbuilding traditions and the legends of Viking ships from the Norse sagas. 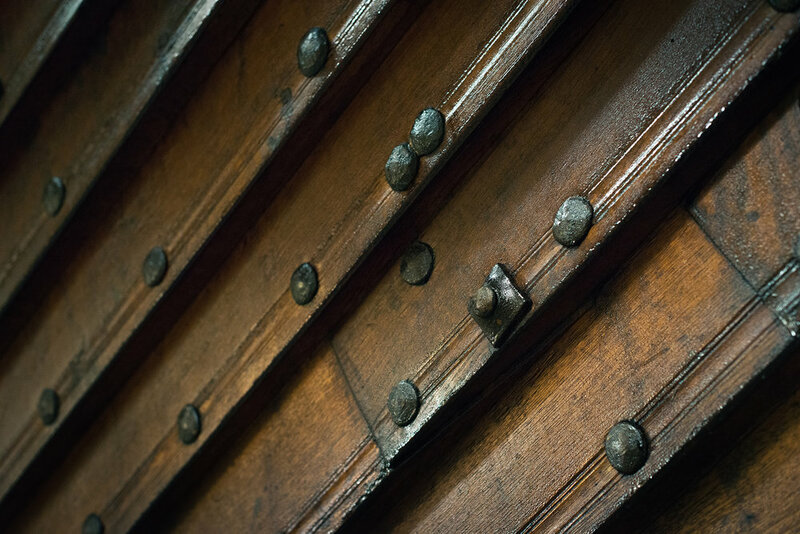 Plank by plank, nail by nail, more than 10 000 of them, the ship was constructed by a band of experienced boat builders, historians, craftsmen and artists. 115 feet from stem to stern, 26 feet wide, 260 square meters of silk sail and a 79 feet tall mast made from Douglas fir. She is a seaworthy ship, able to sail the Oceans of the World. At a hundred and fourteen feet of crafted oak, twenty-seven feet on the beam, displacing eighty tons, and with a thirty-two hundred square foot sail, this magnificent ship is indeed worthy of a king. Norway’s leading experts in traditional boat building and the square sail were engaged in the development and construction of the ship. The construction is an experimental archaeological research program, and the aim was to recreate a ship with the superb seaworthiness that characterized the ocean going long ships in the Viking Age. Sigurd Aase, owner and the man behind the project. Archaeological findings of Viking ships show that they were beautifully decorated. The ship’s ornamentation is inspired by patterns and figures from Viking ships found in Norway. Archaeological findings of Viking ships show that they were beautifully decorated. The ship’s ornamentations are inspired by patterns and figures from Viking ships found in Norway. Draken Harald Hårfagre has a traditional dragon’s head and tail and is richly ornamented with patterns found in excavations. The dragon’s head protects the ship and her crew along the voyage, and is not mounted until departure from homeport. Is Draken Harald Hårfagre a viking ship? Yes, she is a viking ship although built in modern times. Thousands of ships were built in the Viking Age, but only a few burial ships and shipwrecks have been found. This small sample hardly represents the best of the Viking ship technology. The original vessel material that is found is often fragmentary and poorly preserved. If important details are missing, one is dependent on the archaeologists” interpretation when the pieces of a ship are put together or drawings are made. This can be crucial for the seaworthiness of the ship. The Saga literature and other sources from the Old Norse literature. Old sailing records, purchasing lists, reports, and more. In 2012 Draken Harald Hårfagre was launched and the trial sailing began. During 2012 and 2013 she has been trimmed and tested in the waters along the Norwegian coastline. The summer of 2014 Draken Harald Hårfagre made her first ocean going voyage, from Haugesund, Norway, to Liverpool, England and back again. Special thanks to Marit Synnøve Vea for contributing with text and knowledge. 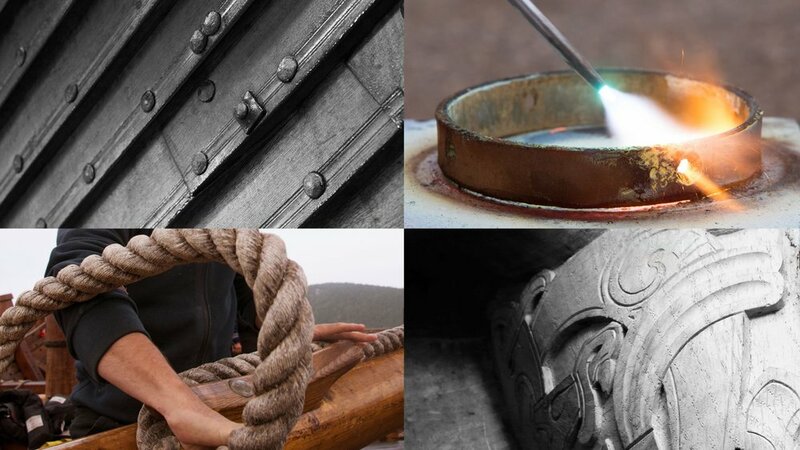 Fine craftsmanship built Draken Harald Hårfagre, with materials used throughout history. Oak, tar, hemp, iron and silk. Tools used for woodcarving, some over a 100 years old, and the book about the patterns from the Gokstad ship. Patterns from the Gokstad ship is carved onto the rudder by woodcarver Claus Pedersen.